The house is hushed. The lights are low. We’re basking in a newborn glow. The note we post says SEE YOU SOON. Inside the cozy house, a baby has arrived! The world is eager to meet the newcomer, but there will be time enough for that later. Right now, the family is on its babymoon: cocooning, connecting, learning, and muddling through each new concern. While the term “babymoon” is often used to refer to a parents’ getaway before the birth of a child, it was originally coined by midwives to describe days like these: at home with a newborn, with the world held at bay and the wonder of a new family constellation unfolding. Tell a child the story of the day they were born and what their first days/months were like. A perfect reminder for any parent-to-be to stop and take stock in those early precious bonding moments. For parents whose kids are older, it’s a trip down memory lane. 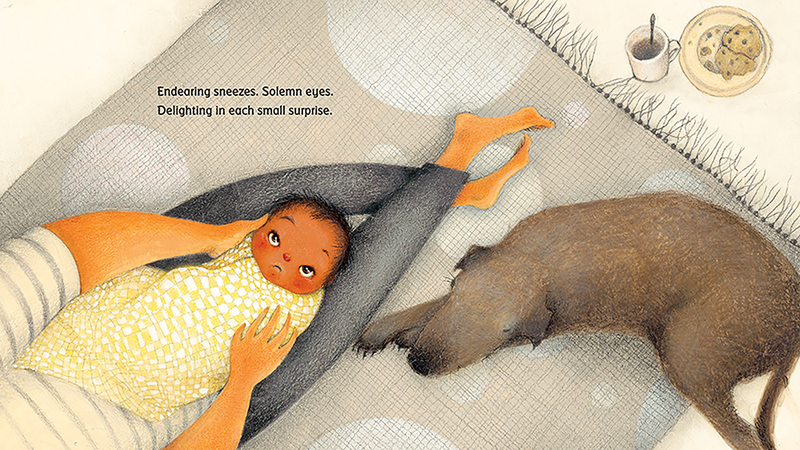 The book feels true to the new parent experience. 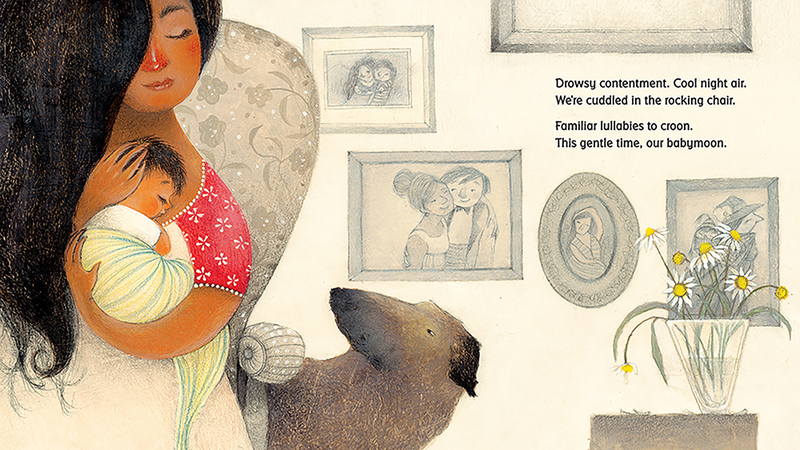 While the joyous text doesn’t directly mention new parent fatigue, you can see the loving tiredness in the art. Ms. Barret has a way with words. They are lush, soothing, cozy like a warm blanket. 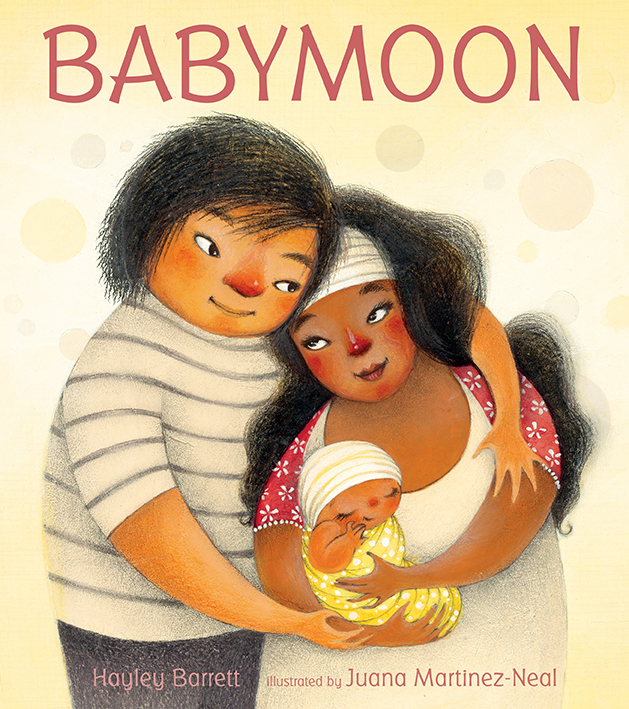 Ms. Martinez-Neal’s warm, soft illustrations cast a tender glow on the new parents as they bond with their baby. A beautiful combination. See for yourself. 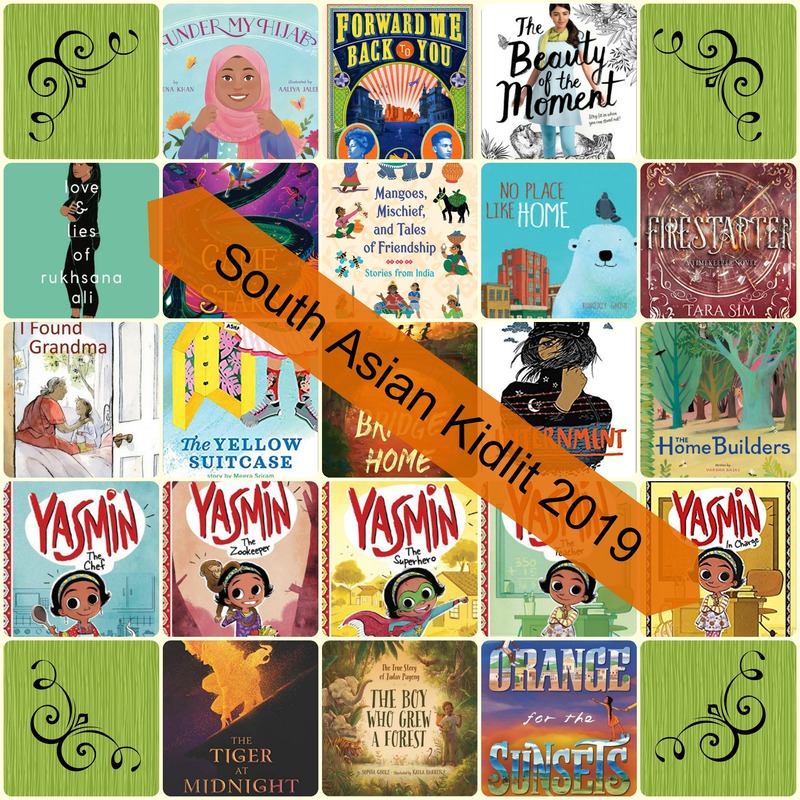 Thanks so much for stopping by for another South Asian Kidlit round-up! So many books! It fills my heart to see these diverse stories making their way out into the world. 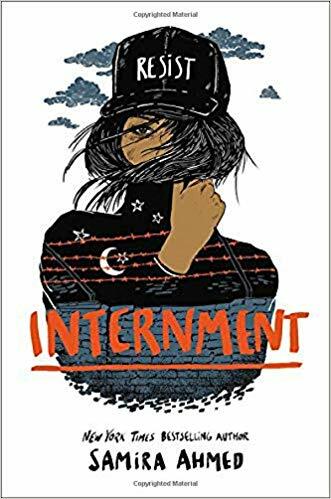 Today’s post covers Picture Books thru Young Adult that have a release date between Dec 31, 2018 to end of April 2019. 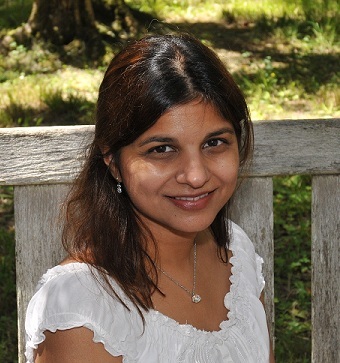 The books listed below are traditionally published and are either by a South Asian author, contains a South Asian Main Character, or involves South Asian culture. The books are organized by Category and then Publication Date. Grandma wears it clasped under her chin. Aunty pins hers up with a beautiful brooch. Jenna puts it under a sun hat when she hikes. Zara styles hers to match her outfit. 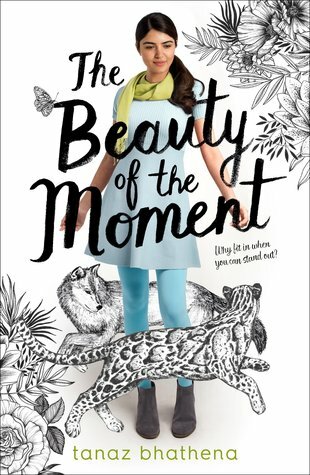 As a young girl observes six very different women in her life who each wear the hijab in a unique way, she also dreams of the rich possibilities of her own future, and how she will express her own personality through her hijab. 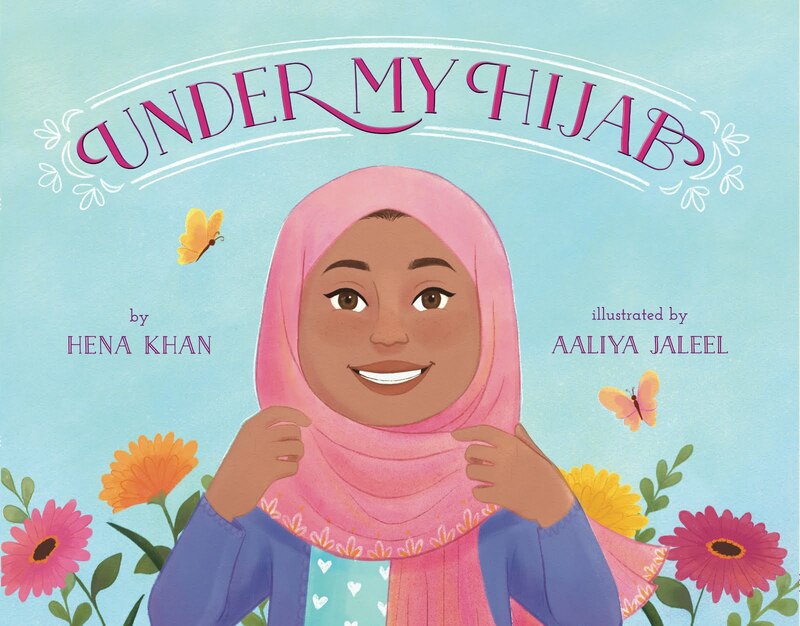 Written in sprightly rhyme and illustrated by a talented newcomer, Under My Hijab honors the diverse lives of contemporary Muslim women and girls, their love for each other, and their pride in their culture and faith. Welcome to a serene woodland where lots of expectant animal parents are in their “nesting” phase–that is, busy preparing safe, cozy homes for their growing families. As they dig, tunnel, gnaw, and gather, they create dens, burrows, lodges, and, of course, nests. 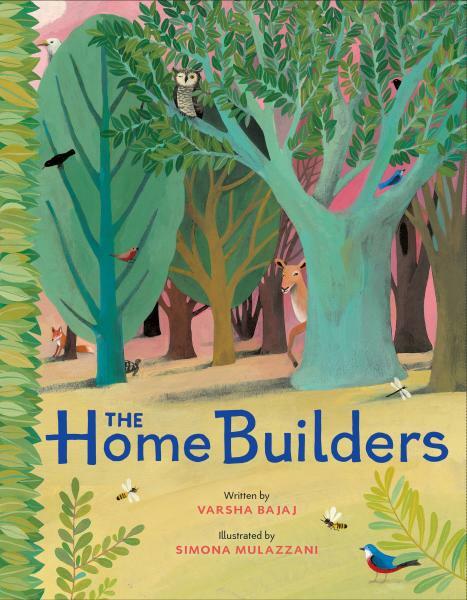 Soon the woods are full of new little ones peeping, crawling, romping, and snuggling–and with artwork so gorgeous that it feels like an invitation into the scenery it’s depicting, readers will be eager to join them in their beautiful home. 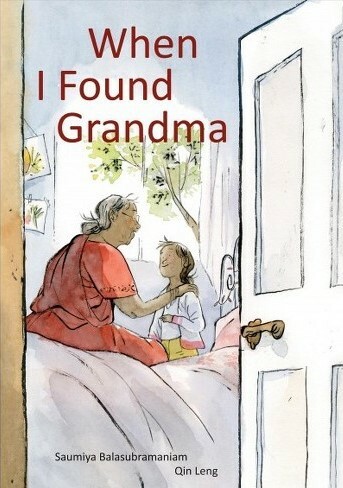 When Maya’s grandma makes a surprise visit from thousands of miles away, Maya is delighted. But her excitement doesn’t last long. When Grandma picks her up from school, she wears fancy clothes and talks too loudly. Grandma’s morning prayer bells wake Maya up, and she cooks with ingredients Maya doesn’t usually eat. Plus, Maya thinks cupcakes taste better than Grandma’s homemade sweets. Maya and Grandma try to compromise, and on a special trip to the island Grandma even wears an “all-American” baseball cap. But when Maya rushes off to find the carousel, she loses sight of her mother, father and grandmother. She is alone in a sea of people … until she spots something bobbing above the crowd, and right away she knows how to find her way. 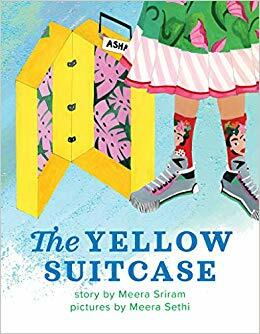 In The Yellow Suitcase by Meera Sriram, Asha travels with her parents from America to India to mourn her grandmother’s passing. 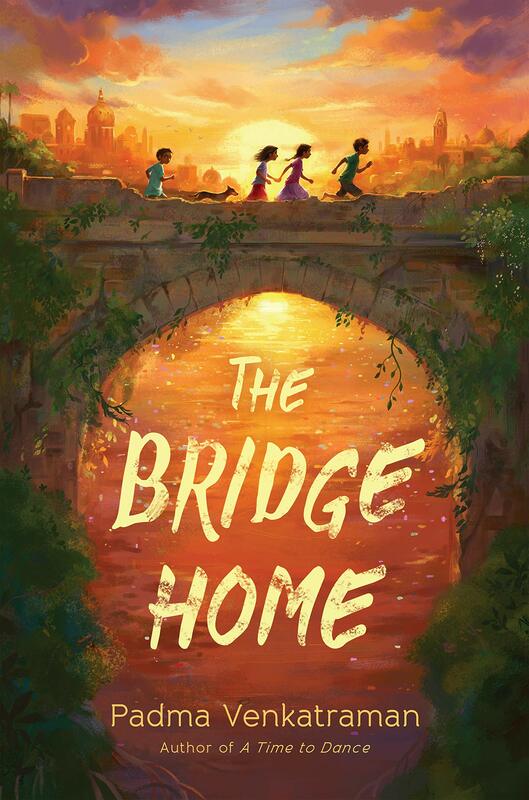 Asha’s grief and anger are compounded by the empty yellow suitcase usually reserved for gifts to and from Grandma, but when she discovers a gift left behind just for her, Asha realizes that the memory of her grandmother will live on inside her, no matter where she lives. George is a bit of a grump. He doesn’t like ice cream, his tiny house, or the crowded city he lives in. Perhaps he would be happier if he could find a place that truly feels like home. 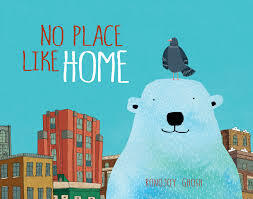 And so George decides to go exploring… Young children will delight in this fun, inviting story about discovering where you really belong. Chef: Yasmin loves hosting parties! Music, friends, fun! 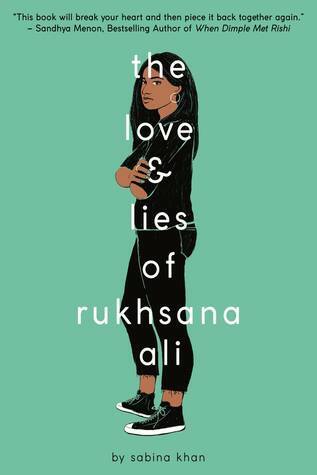 But what she doesn’t love is the spicy food her Pakistani family serves. Yasmin puts on her chef hat and plans to make her own amazing, fantastic recipe…as soon as she figures out what that is! Zookeeper: Yasmin’s class is going to the zoo! The students love watching the animals do silly things, but when Yasmin is chosen to feed the monkeys, she’s the one that does something silly. Can Yasmin fix her mistake and make friends with the monkeys? Teacher: Ms. Alex gets called away―and puts Yasmin in charge! Being teacher will be a snap! But when things go wrong, Yasmin must think fast to get the class back on track before Ms. Alex gets back. Superhero: Superhero Yasmin! She’s got the cape. She’s got the mask. Now she just needs a villain to defeat! While she’s looking for one, she meets lots of friends and neighbors who need her help, but no villains. Then Yasmin discovers that she might not need a villain to wield her super powers! In this collection of four stories, Yasmin takes charge of some sticky situations! 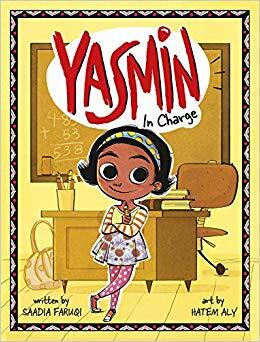 At home, at school, or out and about, Yasmin faces challenges head on with creativity and quick thinking. Whether she’s creating a new recipe, finding a way to rescue a stuck toy for a little friend, or calming down monkeys (and classmates! ), a clever solution to any problem is just around the corner! 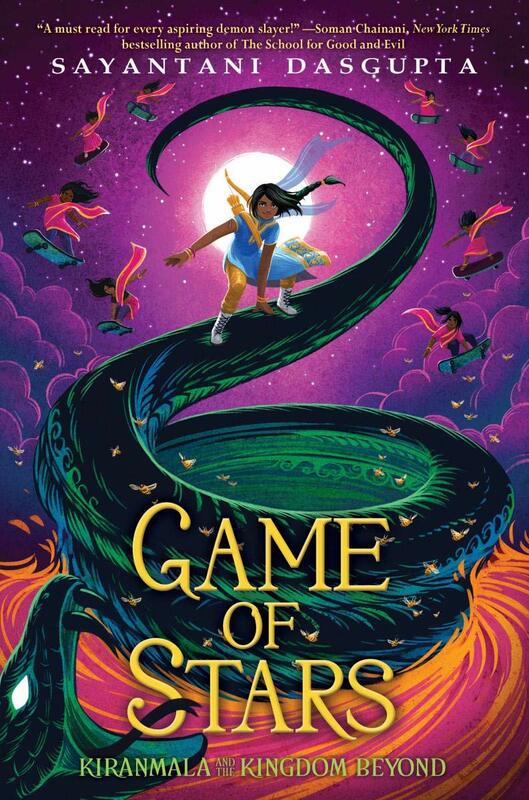 Can Prince Veera and his best friend outsmart the king’s trickiest subjects? 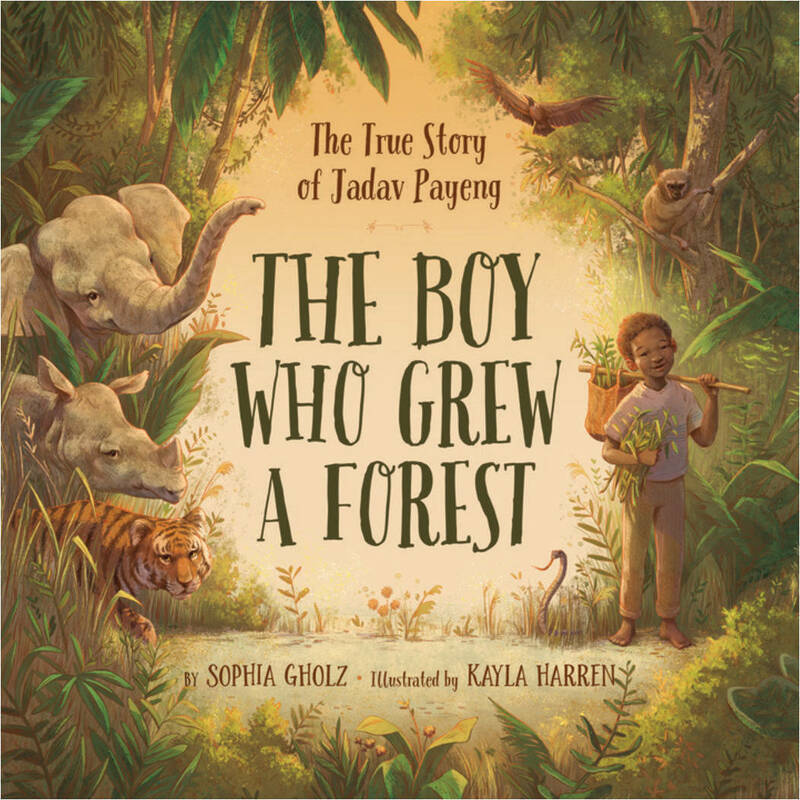 Inspired by traditional Indian folktales, these stories are sure to delight. Being a wise and just ruler is no easy task. 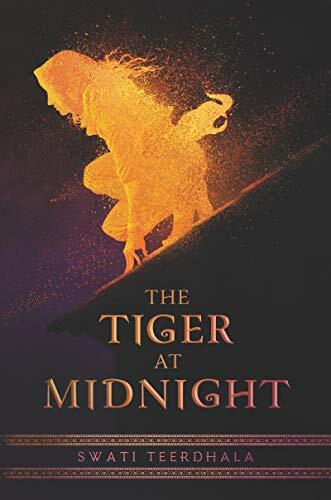 That’s what Prince Veera discovers when he and his best friend, Suku, are given the opportunity to preside over the court of his father, King Bheema. Some of the subjects’ complaints are easily addressed, but others are much more challenging. How should they handle the case of the greedy merchant who wishes to charge people for enjoying the smells of his sweets? And can they prove that an innocent man cannot possibly spread bad luck? Will Prince Veera and Suku be able to settle the dispute between a man and his neighbor to whom he sells a well — but not the water in it? Or solve the mystery of the jewels that have turned into pickles? 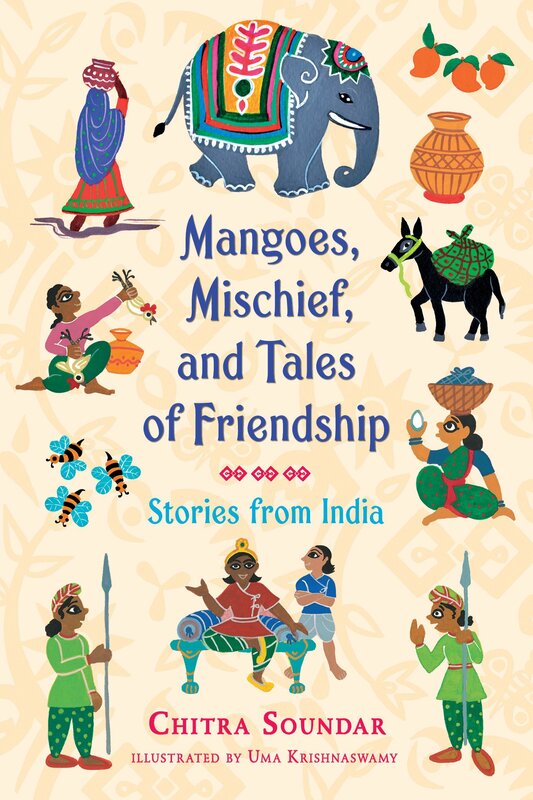 Illustrated throughout by Uma Krishnaswamy, these eight original tales by Chitra Soundar task Veera and Suku with outwitting the kingdom’s greediest, wiliest subjects. Are the two clever boys up to the challenge? Asha and her best friend, Yesofu, never cared about the differences between them: Indian. African. Girl. Boy. Short. Tall. But when Idi Amin announces that Indians have ninety days to leave the country, suddenly those differences are the only things that people in Entebbe can see—not the shared after-school samosas or Asha cheering for Yesofu at every cricket game. 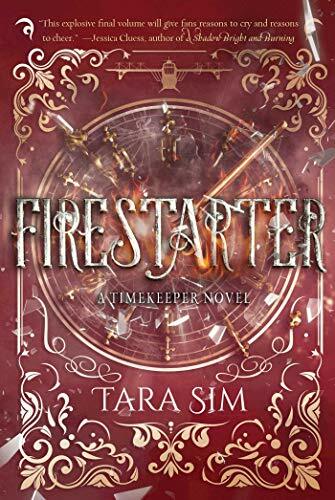 Determined for her life to stay the same, Asha clings to her world tighter than ever before. But Yesofu is torn, pulled between his friends, his family, and a promise of a better future. Now as neighbors leave and soldiers line the streets, the two friends find that nothing seems sure—not even their friendship. Tensions between Indians and Africans intensify and the deadline to leave is fast approaching. Could the bravest thing of all be to let each other go? Susan is the new girl―she’s sharp and driven, and strives to meet her parents’ expectations of excellence. Malcolm is the bad boy―he started raising hell at age fifteen, after his mom died of cancer, and has had a reputation ever since. Susan hasn’t told anyone, but she wants to be an artist. Malcolm doesn’t know what he wants―until he meets her. Katina King is the reigning teen jiu-jitsu champion of Northern California, but she’s having trouble fighting off the secrets in her past. 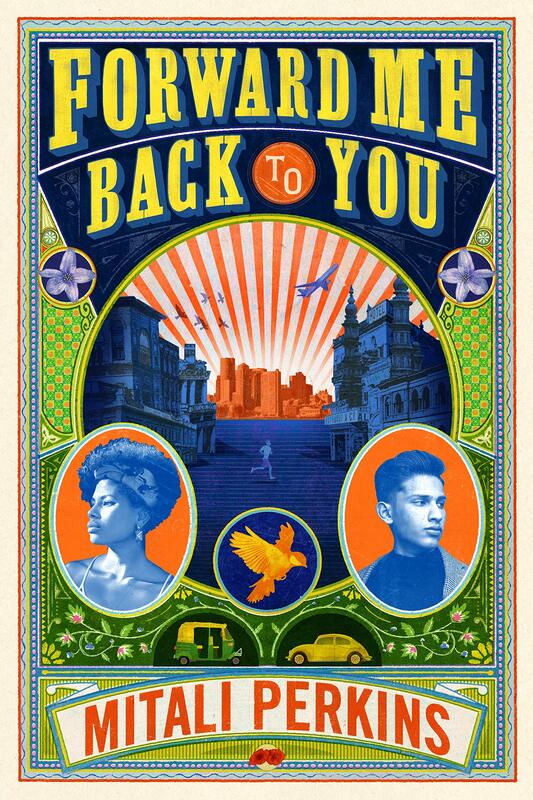 At turns heart-wrenching, beautiful, and buoyant, Mitali Perkins’s new novel explores the ripple effects of violence ― across borders and generations ― and how small acts of heroism can break the cycle. It’s that time of the year to tally up. Here are my stats according to Goodreads. 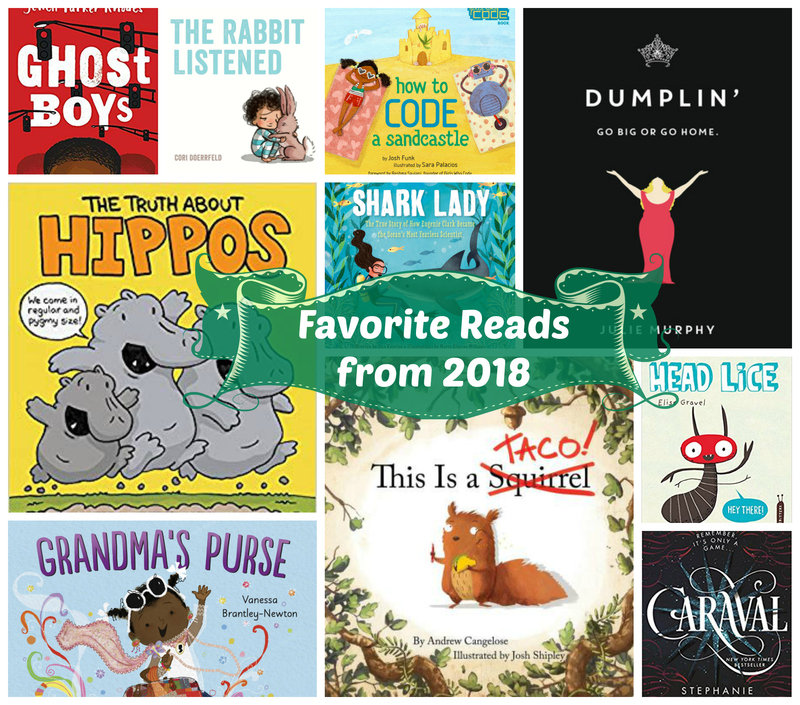 Listed below are my favorite reads from this year. This list contains titles published in 2018 and past years. She was watching peacocks walk past the mango tree outside her house, when one of them let out a piercing cry. Mina knew the monsoon rains were coming. She was going to be stuck indoors all day. Learn more about Indian monsoons at Macomi.com . 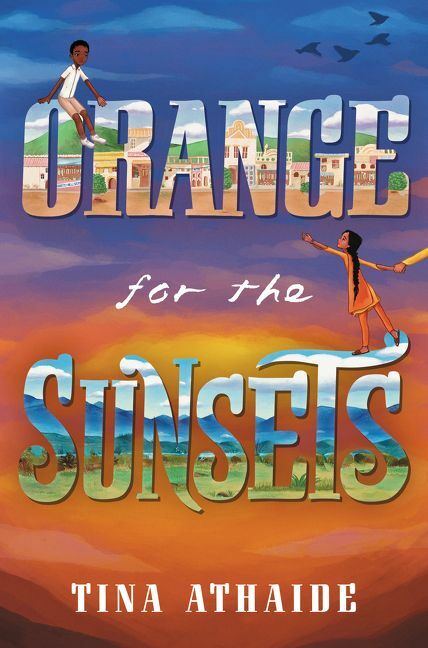 Check-out this list of picture books about India. I would add to this list Festival of Colors by Surishtha Sehgal and Kabir Sehgal and Monsoon Afternoon by Kashmira Sheth. 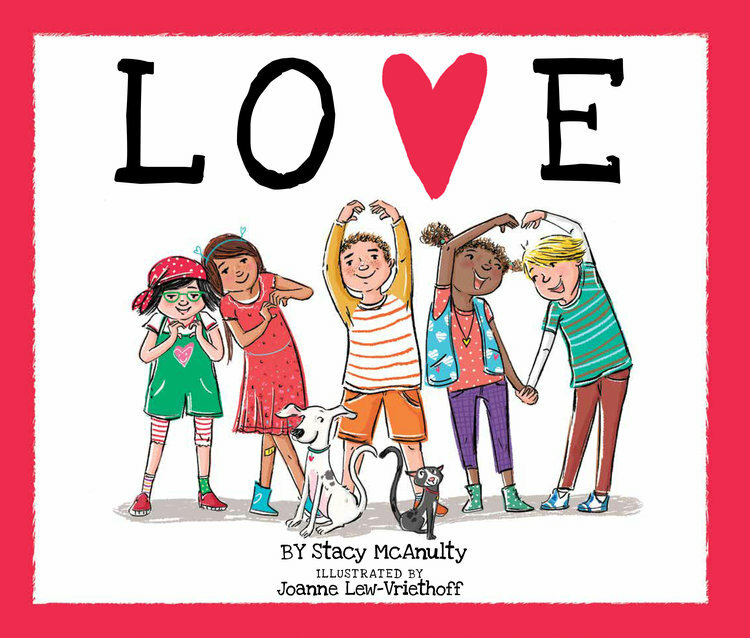 A delightful book for any child who has ever longed for something and wishing somebody else understood. 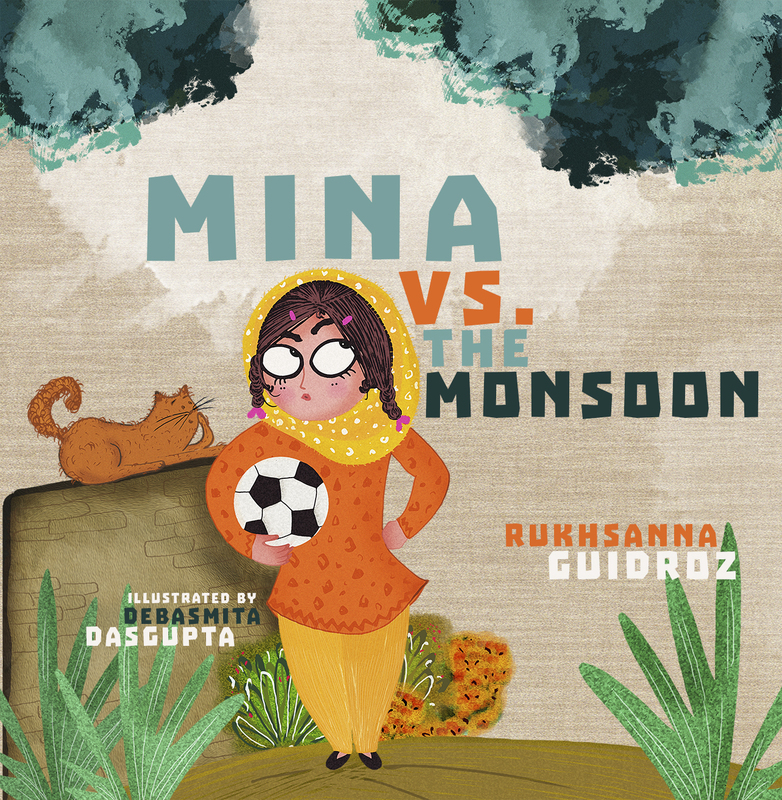 Mina is a soccer-loving girl from a rural village in India. Mina is feeling blue about the impending monsoon rains. 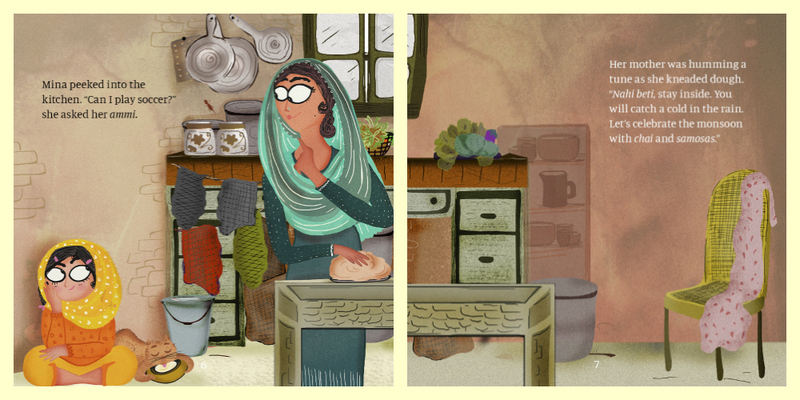 Her mother appears to be unaware of Mina’s passion for soccer as she suggests having chai and samosa instead. Spunky Mina is not about to give up and tries one thing after another to chase away the rain. During this time we learn about Indian village life: tablas that beat din-din-dah, the doodhwalla with his milk cans, Indian clothing and dance, and the importance of the monsoons. Mina stumbles upon an item she hasn’t seen before which leads to a heartfelt bond between Mina and her mom. I love the rustic and colorful art which nicely complements Mina’s energy and the specificity of the South Asian village life. The author seamlessly sprinkles in some Hindi and Urdu words giving the book a richer feel. A glossary can be found in the back. A wonderful book for those new to South Asian culture and those already familiar.